The effort to identify Important Marine Mammal Areas marks progress for the IUCN Marine Mammal Protected Areas Task Force in the Mediterranean and the Pacific Islands. In 2017, the independent panel examining the results of the first expert workshop to identify Important Marine Mammal Areas (IMMAs) in the Mediterranean region (held in Oct. 2016 and funded by the MAVA Foundation) approved 26 IMMAs, while 5 remain as candidate IMMAs (cIMMAs), pending more research, and 39 were identified as areas of interest (AoI). In July 2017, these areas were put on the IMMA e-Atlas on the MMPA Task Force website (marinemammalhabitat.org). Late in 2016 the IUCN Marine Mammal Protected Areas (MMPA) Task Force began preparations for the 5-year GOBI-IKI project (2017-2021) to produce a series of IMMA identification workshops across the southern hemisphere. In March 2017, the second IMMA workshop, held in Samoa, brought together 23 experts and participants from 14 countries in the Pacific Islands who selected 29 cIMMAs from which the peer-review process approved 18 IMMAs, 5 cIMMAs and 19 AoI. In April 2017 at the Year of the Whale celebrations in the South Pacific, held in Tonga and attended by most countries in the region, the MMPA Task Force made presentations and engaged in workshops which put IMMAs on the agenda of the region with the next 5-year plan from SPREP. In October 2017, the MMPA Task Force, represented by the Convention on Migratory Species (CMS) COP-appointed Councilor for aquatic mammals (Task Force co-chair Notarbartolo di Sciara) presented the IMMA resolution which had been prepared earlier in the year at the 12th CMS COP, and was adopted as CMS Resolution 12.13. The resolution states that governments will cooperate in the implementation process of IMMAs, and asks the CBD, IMO and IUCN to consider IMMAs as useful contributions for the determination of ecologically or biologically significant areas (CBD EBSAs), particularly sensitive sea areas (IMO PSSAs) and key biodiversity areas (IUCN KBAs), and it encourages the ongoing liaison with the International Whaling Commission (IWC) to mitigate threats such as ship strikes and noise. Also in October 2017, at the Marine Mammalogy Biennial Conference in Halifax, Canada, the IUCN Marine Mammal Protected Areas Task Force held a one-day workshop on IMMAs in Freshwater Environments. Experts attending the conference discussed the identification and utilisation of the IMMA tool to enhance protection efforts for marine mammals in freshwater environments. Among other things, the workshop concluded that the IMMA selection criteria and process could be used successfully to identify important areas for freshwater species. 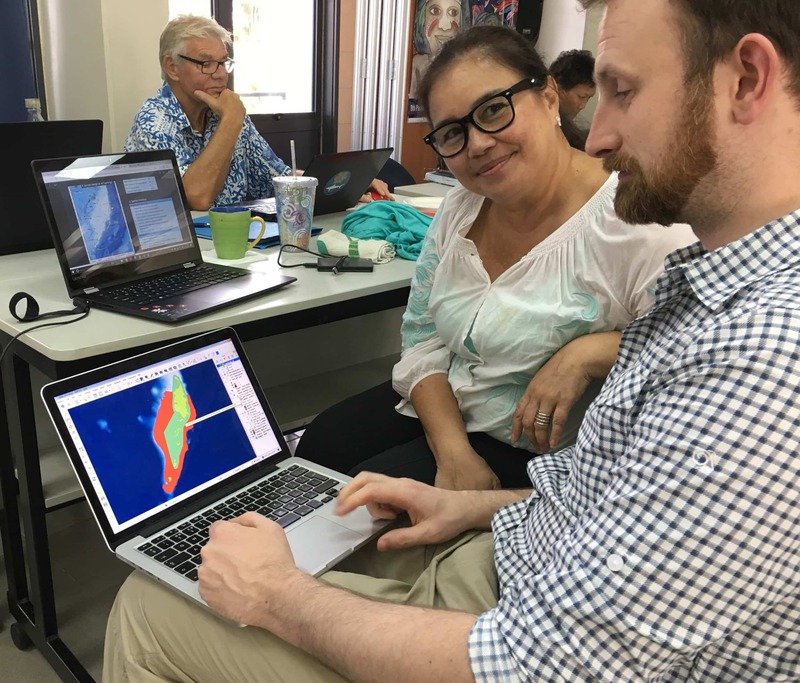 In October-November, MMPA Task Force co-chairs and three experts travelled to Palau to prepare an IMMA and AoI implementation plan with a local stakeholder group. This plan was finalized and distributed in December 2017. In November-December 2017, the MMPA Task Force made preparations and sent out 30+ invitations to experts for the March 2018 workshop to be held in Kota Kinabalu, Malaysia, covering the North East Indian Ocean and South East Asia. For more information on these and other developments of the MMPA Task Force, please see the other news items and downloads on marinemammalhabitat.org.